New shoes, of course, means Frosty has a new box. happy wednesday - the week is almost half over! 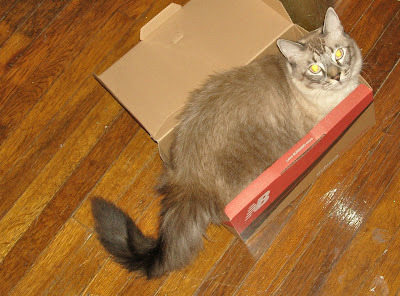 cant you buy that cat a box that fits? Frosty is as cute as ever!